We offer blankets, throws, and comforters made from Tibet Lamb Plates in various colors. The hair is approximately 4-5" in length, but can be as long as 6". These are custom-order items and may take 6-8 weeks. The prices below are for lined blankets. They are lined with mercerized cotton. 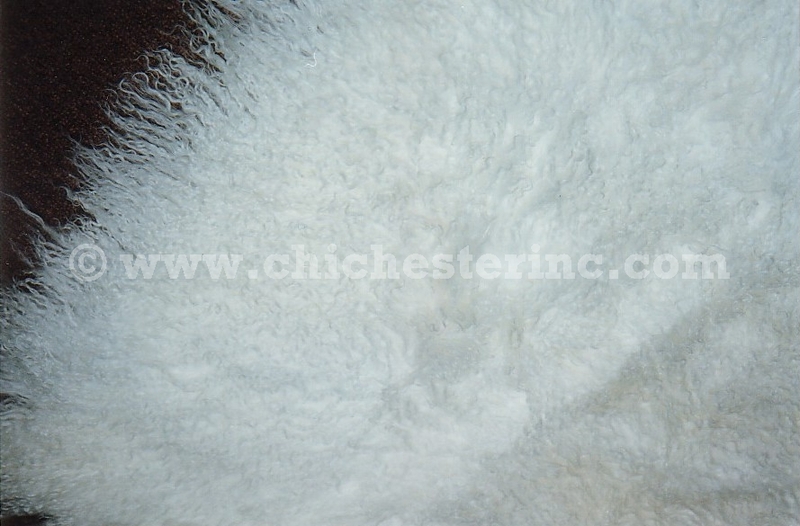 The manufacturer tries to match the color of the lining to the color of the fur as closely as possible. If this is not possible, a neutral color of your choice (white/cream or black) can be used. Please note that sizes are approximate. Please see the Color Chart for pictures of available colors. 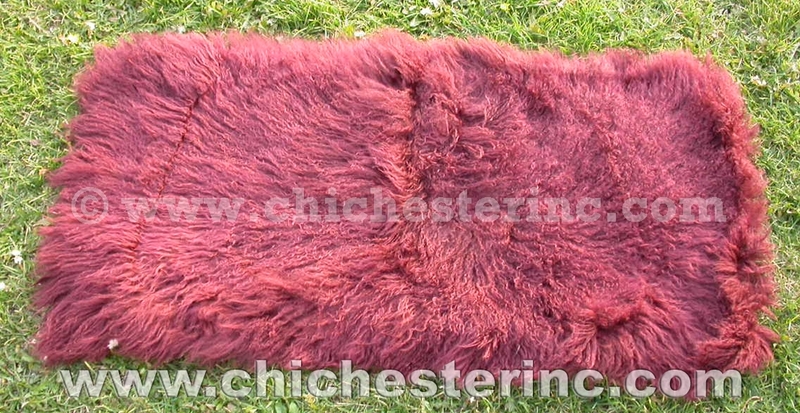 If you would like a blanket without a lining, please see our Tibet Lamb Rugs. These are examples of Tibet Lamb Blankets we've made in the past. Authorized returns only within five days of receipt if you are unhappy with the blanket for any reason. You pay shipping and insurance both ways. No returns on used blankets or custom sizes or colors for any reason. Stephen from New York wrote: The Tibetan Dyed Sheepskin & Throw are GORGEOUS!!!! WOW, really nice - My client is going to LOVE it! !